DoAnn T. Kaneko is a, Licensed Acupuncturist (L.Ac.) and a Doctor of Oriental Medicine (O.M.D) He is an acupuncture diplomat from the National Certification Commission for Acupuncture .He is the founder and Academic Director for Eastern Education at the Shiatsu Massage School of California. Dr. Kaneko was born and raised in Japan. A graduate of Saint Paul Rikkyo University (1970), Toyo Acupuncture College (1979) in Japan, and SAMRA University & Health Sciences (1985) in L. A. California , he is a second generation practitioner of his family's traditional healing art practice: Anma Massage (Meridian Anma Therapy) and acupuncture. Kaneko Sensei's awards and recognition are extensive in the field of Oriental medicine. 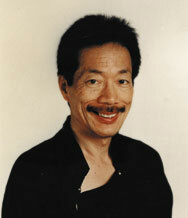 His publications include: DoAnn's DOIN - Healing ourselves, and Shiatsu and AnmaDoAnn's Short & Long Forms. He has practiced and taught the healing arts in Japan and the U.S. since 1970. As an O.M.D. ( and L.Ac.) , he practiced and taught at the following centers: the Shiatsu Dojo & Yoga Ananda Ashram (1975-76), Tao Healing Arts Center in Soho, N.Y.(1979-81), Santa Barbara College of Acupuncture(1982), California Acupuncture College(1984) and Shiatsu Massage School of California in Santa Monica (1982- present). In 1992, he became president of the Japanese Acupuncture Association of California. He served as a translator in the Acupuncture Examination Committee (1985-90) and an assistant instructor for the Medical Acupuncture For Physicians by Joseph Helmes(1997). Kaneko Senei has given freely of his time and knowledge in order to be of service to the community. He participated in the Japan Expo.at the L.A. Convention Center (1984-85). Impressively, he worked to assist Iron man Bob Wieland during his amazing cross-country journey by wheel chair (1987). And, in 2002 he volunteered to present Doin practice for senior in the L.A. City Recreation and Parks/ 50 + Fitness Jamboree Expo. his time to serve on the Health Committee of the Santa Monica Chamber of Commerce. In 2003 and again in 2005, Dr. Kaneko and SMSC offered free Shiatsu treatments to Senior Citizens order to promote their health and well being. Through Daoyin and Chigong community classes offered each week,(1999-present), countless people have been helped to enjoy greater physical and emotional health and to live better lives. Healthier, happier people become better citizens and create a more peaceful community. Santa Monica is a beneficiary of the presence, knowledge and generosity of D.T. Kaneko. Dr.Kaneko and his work are well known and respected within the alternative health community. His work is often mentioned and praised in local Santa Monica newspapers as well as in magazines such as Japan Times, Whole Life Times, and Santa Monica Monthly. Through his writing and his lectures, his teachings are known and admired far beyond the local community. His lectures have taken him to centers such as the Ido Clinic (1976-790) ,Meridian Shiatsu School in Philadelphia (1990), Shiatsu School of Canada ( 2006), and Ryoki Shiatsu Kenkyu Sho in Colombia (2007).The renowned Yoga master, Larry Payne of the Samata International Yoga & Holistic Institute has frequently invited Dr. Kaneko to the Institute, where, in 1992 , Kaneko-san was presented with the Institute's Award for Outstanding Achievement. Taoism is an important part of Kaneko Sensei's philosophy and his approach to a balanced daily life. He also has a strong belief in the practice of Nichiren Buddhism (SGI). Since 1979, he has found growing wisdom and compassion in Buddhism. Through his teaching and through his writing, Dr Kaneko extends the knowledge to promote a better world: peace, happiness and good health in daily life. All of his work demonstrates his goal to share unconditional happiness through faith, study and spiritual practice. The Princess Bamboo tells a magical story about strength, faith, and compassion suitable for younger children as well as readers of all ages.